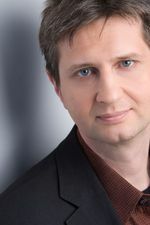 Ronald Hartwig is Project Manager at wiiw, where he is mainly responsible for the administrative and financial management of European framework projects (WIOD, AUGUR, GRINCOH, SPINTAN). He is also strongly involved in wiiw's website and social media services. Ronald Hartwig has been working as a project manager on EU funded projects related to social sciences, culture and ICT since 2002. He has obtained an University degree in Business Administration at the Vienna University of Business and Economics.